By February 1, when the tax season opened this year, refunds for 2018 averaged $1,865, 8.4% less, confirming the fears about the new Tax Cuts and Job Cuts legislation. But by late February, refunds began increasing, and as of March 1, refunds averaged $3,068, according to the Internal Revenue Service (IRS). With average refund checks now tipping the scales at over $3,000, what are taxpayers planning to do with that money? According to the National Retail Federation’s annual survey, 50% are planning to save their refund. But in the rush to get their taxes done by April 15, some taxpayers may be overlooking that opportunity. April 15 is also the deadline for 2018 contributions to qualified retirement plans. Business reporters can help focus their readers’ attention on this important deadline by looking into one or all of these three timely tips. 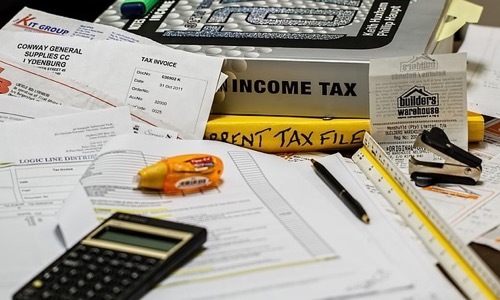 Even if a taxpayer has gotten an extension on filing their taxes, the deadline for contributing to a Traditional or Roth Individual Retirement Account (IRA) is April 15 (or April 17, for those living in Maine or Massachusetts). In 2018, the contribution limits are $5,500 for those under 50, and $6,500 for those over 50. To report these three stories, assemble a panel of readers of different ages and economic situations, along with one or two financial experts, including a Certified Public Accountant. A survey from GoBankingRates.com early this year found that 40% of Millennials planned to pay down debt with their refund. Ask the CPA to offer suggestions on how participants can best divvy up the dollars from a refund check to improve their financial situation. While contributing to their 2018 IRA, workers can also fund their 2019 contribution. Setting aside money early in the year means that investors can generate more gains, says IRA expert Ed Slott. In 2019, limits increase to $6,000 and $7,000, respectively. Financial guru Dave Ramsey says taxpayers shouldn’t even want a big tax refund, because they’re leaving money on the table every month that’s better spent paying off debt or saving for the future. Have your panel’s CPA walk participants through the perennially-overlooked step of adjusting their withholding. Have a graphic accompany your story that shows the impact of redirecting $250, the monthly amount of an average tax refund, over one, five,10, and more years. A married worker with adequate wages or earned income can “double up” for retirement by funding a spousal IRA, even for a spouse with little to no earned income. The contribution limits are the same. How many of your participants take advantage of this opportunity? While most will not be able to do the max, even contributing a small amount can grow over time. Have the CPA run the numbers on different amounts of contributions. Tax refunds are a “major financial event” that “resets” a family’s spending and savings habits, according to this survey from JP Morgan Chase.